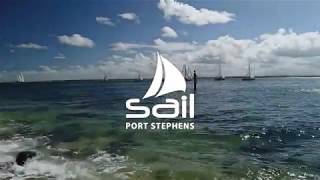 Sail Port Stephens is an annual yachting regatta held in the pristine waterways of the Port Stephens Marine Park, with the regatta centre hosted at d'Albora Marina Nelson Bay. The regatta offers great sailing for all classes of boats plus a vibrant social and entertainment program. It's family friendly, affordable and fun! You can drive to Port Stephens from Sydney in less than three hours. Alternatively, fly from Melbourne or Queensland direct to Newcastle Airport. There's a wide range of accommodation available to suit any budget.